Dark Matter requires you to THINK BIG! By esiegel on March 7, 2011. Were you here last week, when I wrote about MOND and dark matter, and in particular what the supreme failings of MOND are? Apparently, right here on Scienceblogs was a hugely dissenting opinion. After all, when you look at what we call small-scale structure, from dwarf spheroidal galaxies up to the scales of some very small galaxy clusters, MOND works even better than dark matter does! So what is dark matter, and why am I so dismissive of MOND? Let's go through it. This is the Coma Cluster of galaxies, the closest huge galaxy cluster to us in the Universe. In 1933, Fritz Zwicky looked at the speeds of the moving galaxies inside the cluster and realized they were moving too quickly; unless there were far more mass than the galaxies themselves were showing, the cluster itself would be unstable and fly apart! The invisible mass that must be there, holding it together, he reasoned, was the birth of what we now call dark matter. And so we can test it. Put some extra matter into Einstein's general theory of relativity (GR), and what should you get? Well, that extra mass should bend light according to GR by a certain amount, and when we observe galaxy clusters, we see huge arcs due to this effect! Image credit: NASA and Hubble, of cluster Abell 2218. How much extra, dark mass is there? About 5 times as much as there is normal matter. Which, perhaps coincidentally, the same number we get for pretty much all large clusters. We physical cosmologists really like our large scale structure and our general relativity, so we also go back and imagine a Universe filled with 5 times as much dark matter as there is normal matter, and we do simulations re-creating the formation of large scale structure in the Universe. Image credit: the Millenium Simulation at Max-Planck-Institute for Astrophysics. And we get some predictions. How do they line up with what we actually observe, from big sky surveys such as 2dF and SDSS? Again, the same number there: about five times as much dark matter as normal matter gives the expected clustering. And this works for really, really detailed analysis, ranging from looking at peculiar velocities of galaxy pairs to the magnitude of Silk Damping in the transfer function. And so we look at the last major piece of cosmic evidence: the microwave background. Image credit: Chris Blake and Sam Moorfield for the BOSS collaboration. Again, that same "five times the amount of dark matter as normal matter" as before. It gives the correct scales for the formation of structure in the Universe, from galaxies up to superclusters. It gives the right amount of gravitational lensing in the right places. It gives the cosmic web down to the smallest measurable details. And, in glorious gory detail, it even gives you the imperfections in the microwave background! That's our predictions, on the line, with our data, shown as points, courtesy of the WMAP team. What's amazing is that this not only works on large scales in every observable fashion in a self-consistent manner, but it even has something intelligible to say about individual galaxies; namely, that they all should have a halo surrounding them, on average, of about five times as much dark matter as normal matter. And it is this last point only that MOND argues on. Because in order to accept MOND as superior to dark matter, you need to ignore all of physical cosmology. Cosmologists are often in error but seldom in doubt. I am certain that it is time to retire Landau's quote. So you can doubt dark matter, and there's no problem in being skeptical, but do you have a better explanation? The answer is no, and until you can explain the large scales, all you're doing is cosmological guesswork, and insulting the entire field of physical cosmology. Image credit: 2dF galaxy redshift survey (north). Which isn't to say that dark matter is the only option. But it's remarkable that just by adding some cold matter to the Universe, you get a compelling model that you can use to make predictions from sub-galactic scales all the way up to the largest superclusters and filaments in the Universe. Dark matter is the only option that has an answer for all of these scales, even if we still don't understand galactic dynamics -- or small scale structure -- completely. And that's the burden that any alternative must address: how do you deal with all of these structures on all of these different scales? And until any alternative can do that, I'll stick with my dark matter. Here's hoping that -- by its nature -- it turns out to be something we can easily find and directly detect, because it doesn't have to be! Why Dark Matter Rules Mini-Galaxies! Thanks, Ethan. Good medicine. Since the first Hubble Deep Field photo went on-line, I have been utterly fascinated by the ability to actually look through galaxies and see other galaxies far behind them. As a kid shivering at night trying to find Mizar and Alcor in a telescope in my backyard in 7th grade I never thought such a day would happen in my life. Who could imagine? For me, the Hubble Deep Field has had the same effect as Edwin Hubble saying Andromeda is not a nebula. It takes your entire sense of known scale and throttles it; so that now talking about galaxy clusters and superclusters is just part of the nomenclature. And I can make crappy rock videos with real photos of gravitational lensing !!! As important are all the images from the non-visible wavelengths, like those now available of Centaurus-A from X-ray to radio. I know curves and graphs are analytically vital, but having the visible representable spectra expanded so quickly and to be so easily accessible is a real boon. Some of us amateurs still have trouble making sense from a graph. Seeing it helps. Sometimes the map is the territory. I am not a cosmologist, not even a physicist (I am a computer scientist, therefore more mathematician than physicist), and perhaps my question is stupid, but if MOND is true, and since MOND is about gravitation, isn't it necessary to change the General Relativity accordingly, since GR is also about gravitation? I suppose MOND advocates take that into account. Am I wrong? Does it change anything? I read both articles (this and the former)about Dark mater and MOND. I am not cosmologist, but your logical explanation is more acceptable. "Dark matter is the only option that has an answer for all of these scales", is MOND able to be better alternative in this sense? Thanks, again Ethan. yet another great post. Let's see if I've got it right: If MOND is true, then the fact that the galactic rotation curves match the MOND hypothesis implies that there must not be any extra matter (because if you add dark matter to MOND, the galaxies would rotate even faster). So MOND implies no dark matter. Then our only working explanation for all the other phenomena goes away. And MOND can't explain those. Ethan, as usual, your explanation why Dark Matter >> MOND is great, but the one thing I still get hung up on is: How did the standard model survive the sudden incorporation of 5 times (of if you add dark energy 20 times) the mass or energy then originally predicted? The one thing people say is wrong with string theory is that it has so many fudge factors you can confirm everything and predict nothing. Well, the standard model predicted a total energy content off by an order of magnitude, who was that reconciled. Would you mind elaborating on one concept in dark matter studies that has always seemed odd to me. How can the dark matter be in the form of a spherical halo while regular matter usually lies on a disc-like formation? Is there a mechanism which explains this difference? "How did the standard model survive the sudden incorporation of 5 times (of if you add dark energy 20 times) the mass or energy then originally predicted? You don't explain what "the standard model" is and how it applies to cosmology, but from your reference to string theory we can assume you mean the standard model of particle physics instead of the standard model of cosmology. Anyway, you imply that energy have increased. As for cosmology, it hasn't, the universe is roughly zero energy at large (flat). If anything, it has decreased because the flatness wasn't really known before, AFAIU. No "fudge factor" here. So presumably we are discussing new particle physics here. That is, the standard model isn't changed, there is no "incorporation of energy". There is no "fudge factor" because as of yet there is nothing to "fudge" on. Bravo. But bravado does good science make. Think Big you say. Well usually the fly in the soup is small. Let's start SMALL at the GALAXY level. Cooperstock & others find that at the galaxy level, general relativity produces non-linear terms; that do not arise in Newtonian gravity calculations. General relativity accounts for the galaxies rotational discrepancies from the Newtonian gravity predictions. Thus no exotic dark matter is necessary to explain observed rotation of galaxies. It is easy to be against MOND because everyone knows that general relativity is the best theory. But NOW general relativity is coming to a similar conclusion as MOND. Now please stop for a moment, your blah blah blah that the la di da di da dark matter HYPOTHESIS is correct; BECAUSE nothing, no new particle, nada has been found. Instead focus your serious attention upon the general relativity work that explains observed galaxy rotation. Until this work has been properly evaluated; your SHRILL protests supporting the dark matter HYPOTHESIS are quite empty. So surprises are still coming from general relativity. Beware of anyone, especially advocates of the dark matter HYPOTHESIS,who dismisses the conclusions of general relativity without a proper rebuttal. AVOIDANCE of an uncomfortable and complex hypothesis may be good politics, but NOT GOOD SCIENCE. "I agree that a proper rebuttal would be needed. Solving GR equations is all but trivial, and those who think it only has effects in extreme conditions such as neutron stars and black holes have not understood properly its subtleties." Ben on other days blog. So give a proper rebuttal please!! As for your insistence that it is necessary to think big; that might happen sooner with general relativity that you are prepared to find "politically comfortable". Carrick & Cooperstock note, "It is to be noted that we have also analyzed an intrinsically dynamic free-fall model, that of an idealized Coma Cluster of galaxies" (above paper & link). So FIRST check out general relativity at the SMALL level of a galaxy. Later maybe, we'll find that the DARK MATTER HYPOTHESIS IS JUST AN UNNECESSARY MATHEMATICAL FLY IN THE COSMIC SOUP!!! Hmm, well yes of course, neither the secret recipes for galactic soup nor the original recipe for cosmic soup required any mathematical flies. I've been wondering the same thing as Daniel de Rauglaudre. Why is it always referred to as MOND? Why isn't it a modification of general relativity which makes predictions that Newtonian dynamics is unable to account for? Does MOND account for those things as well? Does MOND eliminate the need for general relativity? Did you miss the part about MOND still requiring DM to work? Did you miss that "dark matter hypothesis" needs a new "rather bizarre particle"? "Dark matter particle" has been missing for 77 years now. LHC and IceCube may provide the Michelson-Morley moment for the "dark matter hypothesis." It is scientifically irresponsible to ignor the alternative hypotheses. As for the little bit of "extra matter" needed in some alternative hypotheses. Recent calculations suggest that may no longer be an issue. "The Estimated Number of Stars in the Universe Just Tripled" December 2010, link here http://blogs.discovermagazine.com/80beats/2010/12/01/the-estimated-numb… Obviously, more stars means less need for dark matter. The horse race for a correct theory explaining the "apparent missing mass of galaxies and universe" is not over. A darkhorse hypothesis, e.g. general relativity, may prove more correct than the odds favorite dark matter hypothesis. As for MOND, when Ethan says "And the best argument they've got is a 50 year old quote from Lev Landau: Cosmologists are often in error but seldom in doubt." With this quote Ethan shows that he is more interested in the political slogans of the majority; than in discussing alternatives, e.g. MOND or Cooperstock's general relativity. But correctness of scientific hypothesis is not determined by vote or by groupthink. SHRILL shouting "he's going to win" doesn't count for much even in a horse race. The leading horse, the "dark matter hypothesis", may not have the particle legs to win. Cooperstock's general relativity explanation of the "missing galactic matter" deserves a proper scientific review or rebuttal. But "confirmation bias" of the dark matter hypothesis peer review majority suggest that a "dark horse hypothesis" will be squashed or ignored for as long as possible. If you spent your entire career on the "dark matter horse" you want the discovery of a "dark matter" particle to get a Nobel prize!! I understand that as an important personal emotion. As for defending MOND, I leave that to Ben. As I said in Ethan's March 1, 2011 blog, "Ben Your defense of MOND has been very good, necessary and convincing. Thank you." I'm still puzzled by this dark matter stuff. If it creates gravitational lensing effects, then it has gravitational attraction. So why doesn't it clump together like normal matter? Why can't we see clumps of dark matter in galactic form? Why cant I pick up a piece of dark matter here on earth, where gravity should have sucked it together with normal matter? Why cannot dark matter's effects on galaxies be simpler explained by, say, black holes, having 80% of the universe's mass? The idea behind dark matter--what's necessary to make most of these observations work--is that dark matter doesn't react to the electromagnetic force. That's what makes it "dark," of course, but more importantly to your question, it also provides friction between particles. Without that EM force, the particles just glide right past each other without any real clumping at all, unless they happen to actually collide (a rare occurrence). That's why that example of the Bullet Cluster makes sense. When the two galaxies collided, most of the stars and dust and so on slammed into one another--not directly, but through a myriad of EM reactions, friction from dust, and so on. Thus, the normal matter ends up in the middle. Meanwhile, the dark matter haloes cruised right through one another, because there was no friction at all, and each ended up on the other side of the galactic collision, flanking the center. Make sense? I'm not exactly an expert, just repeating what I've understood from these and previous posts. I'm not remotely qualified to say why Ethan doesn't do the GR figuring for himself and determine why Cooperstock's wrong, but there are nonetheless a few flaws in your posts that even I can point out. 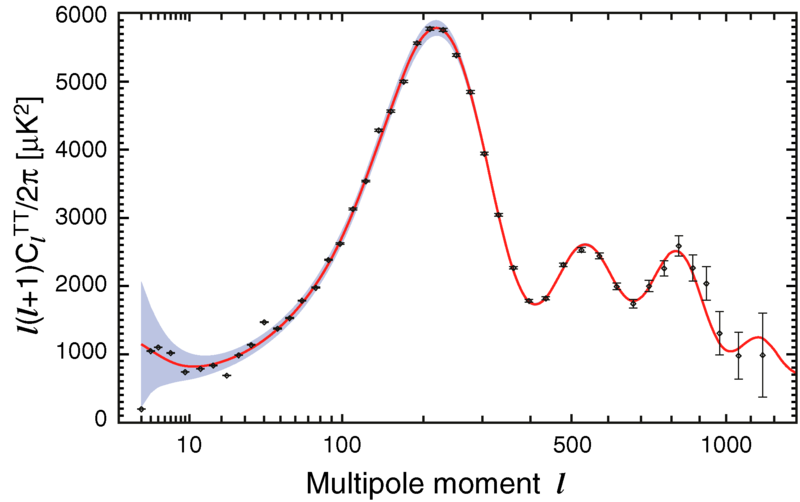 1) The analysis of the CMB and how it fits the data only works if there is extra mass and that mass is dark, i.e. EM-free, or so I understand from what Ethan's said. 2) The link you posted on red dwarfs seems to actually help the dark matter calculations! Remember, red dwarfs are much smaller than even our sun, let alone the real giants among stars. There's nothing in there that says that it substantially affects the measured mass of a galaxy at all, except perhaps in ellipticals. You claim it's "obvious" that there's less need for dark matter, but that's just not true. 3) If you're going to tout MOND, you really need to figure out why all the other predictions that the DM theory handles well are wrong. Ethan's posted a number. You can find maybe one to complain about. That's a real problem for the MOND theory, because if DM is right in those other particulars, then it would have to be taken into account for galactic dynamics as well... and only AFTER DM effects are taken into account would MOND still have room to be correct. It should be added that from a particle physicist's perspective, a new particle to account for dark matter is not at all bizarre. It's easy to come by in fact. Several theories of new (beyond the Standard Model) physics, such as Supersymmetry or Axions, predict or can incorporate something like a dark matter candidate particle. Getting all the details right in terms of cosmology is a lot of work but there is nothing in principle surprising about a new particle. The theories I mention are independently motivated by considerations that have nothing to do with dark matter. It's referred to as a modification of Newtonian dynamics because the equations they use are directly a modification of Newtonian gravity. MOND most certainly does not eliminate the need to incorporate the ideas of special relativity into the gravitational context, nor does it eliminate the idea of gravity as geometrical. It just turns out to be a darn hard and messy idea to put into a relativistic framework. The best job that anyone's done with that seems to be Bekenstein's TeVeS model; but, it is not even universally accepted that TeVeS necessarily reduces to MOND in the appropriate limits. Cooperstock's work has been given a good vetting and it has failed. The consensus about this is that he's done his math wrong - that his results do not, in fact, represent the GR prediction for an actual physical galaxy. It only took a couple of days after the original Cooperstock & Tieu paper for someone to point out that a matching condition in their calculation implied the presence of an infinitessimally thin, massive disk in the galactic plane, and that this disk was what was responsible for the effects they were claiming. I will also add that GR is a fundamental part of all Cosmological modeling, meaning that it is already included in the large-scale picture that Ethan is discussing. Oh, and the understanding for some time has been that most ordinary matter is in the forms of gas and dust. So, even tripling the number of stars does not necessarily mean increasing the baryonic fraction of the universe's energy content. This isn't quite right. If dark matter particles have sufficiently low mass, they will only be able to clump on very long distance scales. In such a case, the dark matter distribution on galactic scales would be almost perfectly smooth, meaning that it would have essentially no gravitational effects. However, I would think that in such a case there would need to be a high degree of tuning of the dark matter mass and the MOND acceleration to be able to match both galaxy and cluster data. Look: I'm a biochemist, not an astrophysicyst. That being said; I think you're missing a rather large point. That being in order to explain ALL observations, every other alternative theory ends up having to invoke DM anyway. "[the] "dark matter hypothesis" needs a new "rather bizarre particle"? "Dark matter particle" has been missing for 77 years now." You're not addressing the point that YOU STILL NEED TO INVOKE IT ANYWAY! I'm not saying DM is correct, but it's dumb to pick apart DM by saying "in this specific circumstance, my thoery fits much better and I don't have to invoke a particle that hasn't been discovered yet. So there, DM is probably wrong"
You need to explain ALL OF THE DATA. When Special Relativity put the last nail in the coffin on the aether theory, it did so by explaining all the data AND offering new insights that were later proven to also be correct. Also: I'm not sure the whole "its been 77 years and still no particle" argument holds that much water anyway. Wouldn't you agree that particles that, by their definition, do not interact via the EM force would be very difficult to detect? Exactly right. Dark matter has to be quite weakly interacting to have the right astrophysical and cosmological properties; and, that inherently makes it difficult (though not necessarily impossible) to detect directly. I'll also add that the other known particles that don't interact electromagnetically, neutrinos, were first proposed more than 25 years before they were actually detected. And, in that case, we actually knew what (at least some of) their interactions with ordinary matter should look like. Here's hoping that -- by its nature -- it turns out to be something we can easily find and directly detect, because it doesn't have to be! And yes, there are many worthy reasons to hypothesize new elementary particles. And yes, Korzynski Aug 2005 rebutted Cooperstock's work. But Cooperstock & Tieu Dec 2005 answered that rebuttal. Their answer has NOT yet been rebutted in print. Carrick & Cooperstock Dec 2010 extended their work to 6 galaxies and the coma cluster; and again clarified their position relative to the rebuttal. But as they say, "It is to be emphasized that we have responded to all the issues of criticism and to this point, as far as we are aware, there has not been any new rebuttal offered by any of these critics." Can no one really understand, review and if necessary properly rebut (in print) Coopersatock & Tieu's Dec 2005 answer and Carrick & Cooperstock's Dec 2010 submission? Solomon's words sound sincere, "Cooperstock's work has been given a good vetting and it has failed. The consensus about this is that he's done his math wrong - that his results do not, in fact, represent the GR prediction for an actual physical galaxy." But an off the record rebuttal is politics or emotions not science. I think Cooperstock, Tieu & Carrick can take a serious rebuttal; try them. They deserve it, we deserve it. Scientific dialogue please; not political not emotion. @Thomas Neubert: Cooperstock et al. 's latest article is only three months old. Has it already been published in a journal besides the arXiv? Give it some time, rebuttals or confirmations will rise up soon enough. I'm hedging on a rebuttal though. Can someone explain to me then, the deviation of the line from the data points on the graph (7th image down)? Why is this glossed over? Note: I am not advocating MOND, just curious as to what a deviation from the data means and why it's not explained - is it because it's a problem with the theory you're advocating? As I understand, detecting dark matter is going to be a lot harder than detecting 'normal' neutrinos. At least we knew neutrinos are made in beta decay, which is happening in any piece of uranium or thorium you can buy at a rock and mineral show. Or, in the Sun !!! So we have a known sub-atomic causation and nearby astronomical source of lots of neutrinos to try and catch and analyze. We don't have this for dark matter; it is only being detected at the extreme macroscopic level by its gravitational and lensing effects. To follow the neutrino confirmation model, we need an intense flux of dark matter in an accessible locale, like a laboratory. This seems unlikely, so I think we are going to have to follow the methods described by Ethan above to pin down its existence indirectly through more and more clever means, like the Bullet Cluster. WhAT??! Way to be a turncoat. GEEZ. No, seriously, that left side of the graph doesn't look all that tight, does it? Has a wider range of experiments introduced some fuzziness to measurements? I'm curious, too. Note how the left side is no better than the image here -- it simply is what it is -- as it shows the magnitude of the temperature fluctuations in the early Universe on the largest scales. On scales of about 7 degrees, there is slightly less "large scale power" than we'd expect. And on scales slightly smaller than that, there's a data point where there's slightly too much. Is that a big deal? Or is it just the way the Universe is, and it isn't indicative of those points being anything more than a random fluctuation? But you know what really impresses me? Look at how good the right side has gotten with more data! They not only nail the third peak, they can start measuring the fourth! And again, still in agreement with dark matter and dark energy in the proportions we've been seeing for the last decade. In the continuum of space and time, exists the dichotomy of matter and energy. All things exist as both matter and energy, but are experienced as one or the other. As energy, all things exist as wave patterns. Most wave patterns are interferences of simpler wave patterns. The simplest wave forms are those that do not interfere with other waves. These simplest wave forms hold their shape as they propagate. There are three such wave forms. The first such wave form is seen in three dimensions as the spherical expansion wave of a bomb blast, and in two dimensions as the circular wave of expansion on the water where a rock was tossed in. The second wave form is seen in three dimensions as the cone of sonic boom following an aircraft traveling faster than sound, and in two dimensions as the V-wake on the water where the boat is traveling faster than the water wave. The third wave form is seen in three dimensions as the propagation torus of a smoke ring and is seen in two dimensions as the double vortexes of an oar stroke on the water. The Torus is a particle of discrete exchange, from one point to another. The object exchanges position and momentum. While the spherical wave shows position, and the conic wave shows momentum, the torus shows both at the same time, and has a dynamic finite unbounded reality. The volumes of the cone, sphere, and torus are mathematically related as static objects. The Universe is a local density fluctuation. (a wave pulse) On this local density fluctuation wave, lesser wave forms may exist. All simple wave forms are also local density fluctuations, and as such are indeed universes in their own right, where other waves may exist. Consider the torus as a universe. Einstein said that gravity is indistinguishable from acceleration. There is both linear acceleration and angular acceleration. Although the torus as a whole travels in a straight line, every local point on the torus travels in a circle and experiences angular acceleration. The rubber sheet model of gravity and curved space translates directly to the propagating torus with angular acceleration. Acceleration is downward on the rubber sheet and outward on the torus. The tension field that separates the inside of the torus from the outside holds its shape as a simple two dimensional field of space and time just as the rubber sheet does. Experimentally verifiable is that a big fat slow smoke ring generated in a room with very still air will eventually possess a bulge that travels in a circle on the surface of the smoke ring. This bulge, being a gravitational depression, gathers more of the energy of the field toward itself. Finally the bulge gathers enough material to collapse the field and eject a new, smaller smoke ring out in the same direction as the first torus. This collapse is a black hole to the first torus, and a white hole to the second torus, where the axes of space and time in that second torus have reversed. While gravity tends to draw depressions together locally on a dynamic torus, even to the point of field collapse, other areas on a torus expand and contract globally as the torus propagates along without regard to local phenomenon on the surface. This is quintessence. The inertia of the torus to propagate is its dark energy. This is a two-dimensional example of the process that we experience in three dimensions. Even in a horse race, the favorite has only a 33% chance of winning. So the odds that a dark horse might beat a strong favorite in a particular race are always real. The Milky Way rotational problem is a particular race! ---A TOY model galaxy must be used, i.e. many assumptions. ---A mathematical approximation technique must be used, i.e. many assumptions. As well the assumptions will further depend upon which laws of gravity are assumed: Newtonian gravity (e.g. dark matter), MOND, or general relativity (e.g. Cooperstock). Why? Because the mathematics of different laws of gravity will be easier to use with different Toy model galaxies and different approximation techniques. Now note that less than 50% of the mass of the Milky Way galaxy is hypothesized to be dark matter. So cosmic dark matter hypothesis doesn't stand or fall based on the apparent missing mass in galaxy rotation problem; other observations suggest 80% of the mass of universe is unaccounted for. Do we want to know whether general relativity applies at the galactic level or not? And by the way the mass of all of the planets in our solar system add up to only 1/1000th the mass of the sun. So each planet is a little point mass in a single solar gravitational field. (minor perturbations agreed). But there is no such single uber-gravitational-galactic-field. Each star gravitationally feels the complex field contributions from all a galaxy's stars. Even the central supermassive black hole is insignificant when compared to the total mass of stars in the Milky Way galaxy. So why should we be surprised if non-linear general relativity gravitational field effects have a significant impact upon the stability of a rotating galaxy? Newtonian (i.e. dark matter) assumptions, versus MOND assumptions, versus General Relativity (e.g.Cooperstock) assumptions reduces scientific problem solving to a "he said, she said" science. This of course is never a happy situation. --- does Newtonian gravity need more mass (5% or 50%) to achieve a stable "very simple TOY model galaxy" than MOND or General Relativity. Real calculations are excrutiatingly difficult. But, do we want to know the approximate size of the non-linear general relativity gravitational field effects upon a rotating galaxy like the Milky Way or not? Instead of "he said, she said" science. Is there a scientific interest in knowing that the galactic general relativistic effect is equivalent to adding 5% or 50% more Newtonian mass to a galaxy? Cooperstock raises an important question that the vested and vetting interests had assumed was closed. So someone(s) please review and/or rebut and/or suggest improvements to the general relativistic work by Cooperstock and others. Torbjorn, my reference to the standard model might easily be incorrect verbiage, I was trying to refer to a "big bang created universe made from baryonic matter". It's been 25 years since my only astrophysics class, but at the time the universe seemed well explained by that mechanism. Since then we added a lot of stuff, without ever needing to revise the fundamental assumption. I'm just not seeing how all the processes that lead to the formation of the visible universe can not be depending on the total energy content of said universe. To a chemist at least, the universe is the ultimate closed system, and energy content should be the driving force for all states. Even Cooperstock assumes that Newtonian Mechanics gives the sqrt (/1/r) rotation curve. See Appendix B in his 2009 book. This is only correct when the mass distribution is spherical, in which case all the mass can be correctly assumed to be at the center (per Newtonian Mechanics). For other distributions of mass, Newton's results may or may not give the same sqrt (/1/r) type of curve. It is not clear to me whether Cooperstock's results fit the rotation curves only because of relativistic effects, or because, by starting with relativity, he does not make the usual simplifying assumptions made in the Newton's equations. By the way, Thomas, it seems to me that nobody bothers to check anybody else's results, unless such results are an obvious and serious threat to their own resuls. This must be the new "free market" science. I say this because I have seen other papers that purport to obtain the correct galaxy curves with just Newtonian Mechanics and no dark matter, but nobody mentions or reviews them. Last time I checked (over a year ago) these papers were from eastern European countries or China. Based on that last sentence pg 215 of Appendix B, my interpretation is the opposite of yours. But I really can't follow the derivation. So, I defer to your interpretation. Yes, yes regarding your "free market" science comments. I'll try to keep quiet for a while; maybe the eastern Europeans and Chinese are right. They have done what I was asking here: Use Newtonian Mechanics without the usual assumption of spherical distribution and show flat curves can be obtained without dark matter. I don't really care about dark matter either way, I just wanted to defend Newton. Could it all be down to a problem with calculating galaxy velocities based on redshift? Why do I keep having the nagging suspicion that the inclusion of dark matter into the calculations makes the observed data fit with the theoretical predictions precisely because it consists solely of that very process in the first place? Obviously the higher and more exciting points of this inference is lost on me but I'll keep watching anyway. Ehtan's blog is picturesque and entertaining. He does a good job of disseminating science broadly, and this is good. But in terms of his, what appears to be a vendetta against MOND, he is treading thin ice. Why is it stated that MOND fails all the other tests apart from rotation curves? Why do these sort of bloggers misrepresent reality so awfully? Structure formation is being worked on, but the computations are much harder. Compare a with quantum mechanics: one cannot compute how the atoms in a molecule move about from quantum mechanical principles, not even on supercomputers. MOND is also a non-linear theory. This has nothing to do with beauty. It is reality. Some hot dark matter (which is very different to the cold dark matter you need to postulate if you believe in Newtonian dynamics) may be required, but this is no argument against MOND. The hot dark matter is nicely consistent with neutrino oscillations. But perhaps the "dark matter" in MOND is just the missing normal matter? Remember, that about 60% of the normal matter in the universe seems to have gone missing since the Big Bang. Where is it? A question to Ethan: Do you really understand gravitation? Do you really know how matter and space-time are coupled? If you do, then you deserve a Nobel Prize, and you should publish! If you do not, you are likely to find that you are on a very wrong track. Mark my words. My problem with DM+GR is not that it does not fit the data. My problem is that MOND fits the data without needing DM. Since this simple equation works well at the galactic scale everywhere. The fits are actually getting better with more data. There can only be two solutions. 1) DM does not exist at Galactic scale. So the real solution is that DM does not exist at the galactic scale. I would have had no problem with DM, if MOND did not work so well at galactic scale. The fact that MOND does not work as well at cluster or higher scales makes no difference. It is probably an indication that some form of DM exists on those scales. I donât even think that MOND can be enhanced to form a theory. TeVeS is just a toy theory that shows how to build one, but I am pretty sure the encompassing physical theory will be discovered from a totally unexpected direction. The recent Verlindeâs theory of Entropic gravity looks interesting. I liken MOND to an Empirical law. Any quantum theory of gravity needs to bring out MOND or it is not physical. Since GR in its present form does not predict MOND, it is not physical. It is as simple as that. Empirical laws must be explained by all physical theories. If Newtons gravitational theory did not explain Keplerâs laws, it would be as useless (at the solar system scale) as GR is presently (at the galactic scale). this time, I do not quite understand, but I am simply lacking in knowledge on this topic. But dark matter always interested me, because it looks like it is always a forthcoming new beginning. Is it true that there is a certain point that we can predict(?) where the pressure inside the dark matter is too high so it explodes? can it absorb the matter indefinitely? this is fascinating, as so close to human psychology. can we understand the universe better by understanding ourselves better? I do believe that it is true... we are the children of the universe. Ethan, I like your blog, read the articles nearly every day. Can you write more about Quantum Physics? I'm not a physicist, just an interested layman. The question that I've never seen addressed is this: If dark matter responds to gravitation (which it would have to do in order for the halo around a galaxy to retain a coherent form), then why hasn't the Sun accreted its own halo of DM? This is not a trivial question. We know the Sun doesn't have a halo of DM, because if it did, Newtonian gravitation wouldn't describe the movements of the planets. But if we begin with the assumption that DM consists of particles, some of them will have greater momentum than others. Over the course of billions of years, lower-momentum DM particles would (I'm guessing) tend to be captured by massive objects such as stars, and would fall into orbits around the stars. In other words, a halo of DM would accrete. Granted, most particles of DM would pass right through the solar system in parabolic trajectories. But if they all had enough momentum to do that, wouldn't they also have enough momentum to pass out through the galactic halo, causing it to dissipate? It seems to me (naively, I'm sure) that a theory of dark matter would need to explain why there is no halo around individual stars. Can someone help me understand this?